Situated at the base of Mt John in Lake Tekapo, Tekapo Springs is a year round destination for the whole family. 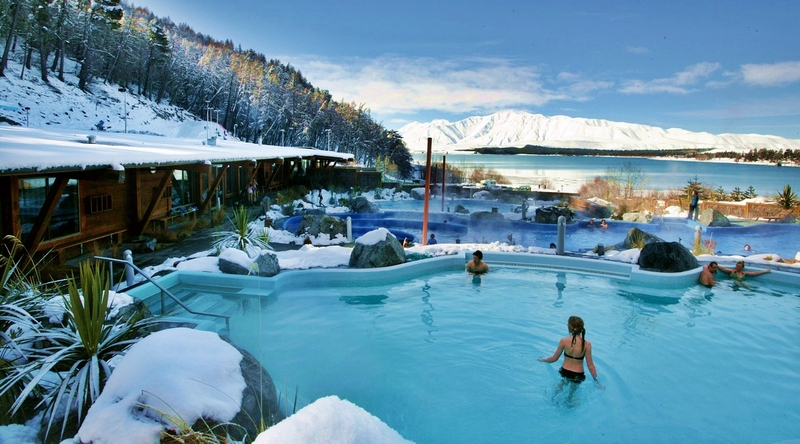 Offering stunning vistas of Lake Tekapo and the Mackenzie region and a range of fun activities including Hot Pools, Ice Skating Rink, Day Spa, Snow Park featuring a Magic Carpet and the fully licensed Tahr Bar & Café’. Tekapo Springs has recently introduced New Zealand’s first Summer Tube Ride making Tubing a year round attraction in Lake Tekapo. Open daily from 10am – 9pm the Hot Pools provide a welcome place to relax and enjoy the views over Lake Tekapo and a wide range of activities. 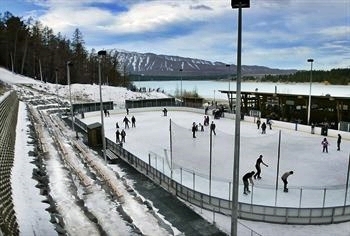 The outdoor Skating Rink is open 10am – 9pm offering views over Lake Tekapo. Friday & Saturday nights the Rink is open for our Ice Discos throughout winter. Over the warmer months the Rink is used for Inline skating. The Tubing Park operates 10am-7pm with extended hours over summer. Indulge in the Sauna/Steam Room or take a dip in the Plunge Pool.